Your financial independence is not determined by how much money you can earn but rather by how much money you can save. 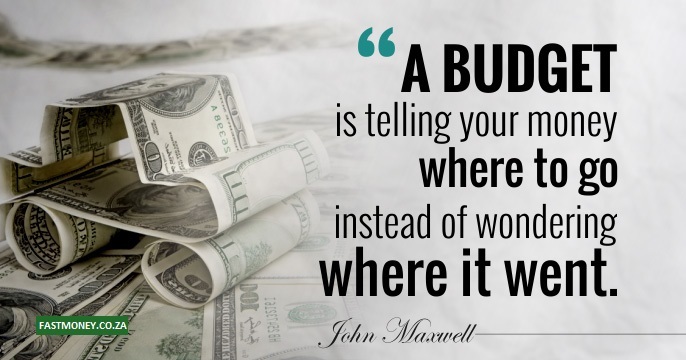 Saving like anything else is a habit that can be learned or unlearned but nonetheless should be your #1 Priority. After-all what’s the point of working month-after-month and never having any assets to show for it? A part of what you earn should be yours to keep. 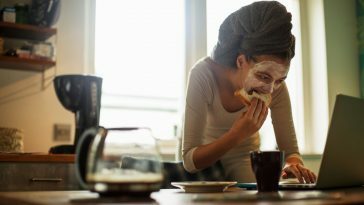 The golden rule among the worlds top personal finance experts is that you should SAVE a minimum of 10% of what you earn & you should do that that by simply PAYING YOURSELF FIRST. The more you can save the better, just always remember to PAY YOURSELF FIRST. You will notice this “Golden Rule” repeated over & over across many of the best-selling personal finance titles around from Dave Ramsey’s Total Money Makeover to Anthony Robbins MONEY: Master the Game and my all time-favorite The Richest Man in Babylon. 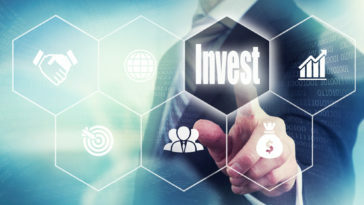 Throughout my research on savings I’ve also found that their are a number of ways to save money which are repeatedly preached & in my personal experience these are the most effective ways to save when put it into action. If you like anybody else in the world, you have a daily vice… an espresso or delicious smoothie from Kauai. It’s the little things that add up! Cut down on unnecessary little luxuries and watch your savings account grow exponentially. Every night when you get home, open up your spreadsheet & jot down all your days expenses. Tracking expenses one-by-one will create awareness around all your expenses & help curb your spending. Set you bank account to automatically transfer X% of your salary to a savings account the instance you are payed. The Golden Rule with debt is to only take out loans to increase your earnings capacity. I.E education to further your career or starting a new business. 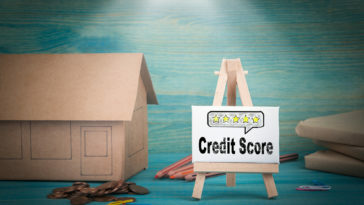 Avoid short term credit like that plague, if you can’t afford the luxuries you want with cold-hard cash, than don’t buy them or you’ll find your future self paying for them with additional interest. 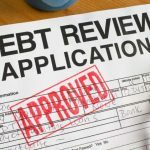 If you’re currently overwhelmed with debt be sure to check out our guide on getting out of debt. Most people are deterred by Bronze & Copper coins as they are dirty, bulky & not worth much in single quantity’s. But if you can accumulate large quantities they sure can add up. So I recently tested out a new strategy, I took 5 empty protein containers, sealed them up & cut a hole on top of each one. I labelled them Silver, 50 Cents, 20 Cents, 10 Cents & 5 Cents respectively. In effect I made 5 separate piggy-banks. I than proceeded to pick up any coins I found whether it was a 5 cent or 10 cent coin. Everyday when I got home, I emptied out my car, wallet & pockets within 3 to 4 weeks I had saved up over R400 in coins. This doesn’t mean you have to put your local car guards in South Africa out of business, just food for thought for those of you that don’t know what to do with all those bulky coins. If you’re like any other South African I’m sure you spend a considerable chunk of your salary on groceries, petrol & many other consumer goods every month. Do you occasionally eat-out? Let’s say you tend to visit Spur for one of heir mouth watering burgers every now & again? Adjust your schedule to take advantage of their specials, like buy one get free burgers on Mondays. Silly specials like this may seem inconsequential if viewed on a singular basis, but if you take into consideration the latte effect & apply it across various specials from GROCERIES to CLOTHES and MULTIPLY it over several months you’d be surprised at the thousands of Rands you could save. 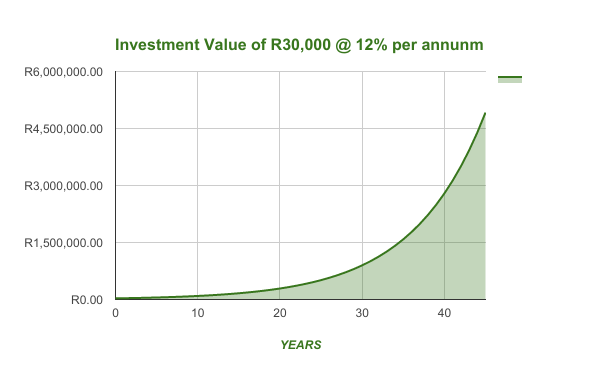 Scenario #1 – 20-yr old Jessica makes a one-time contribution of R30,000 to her tax-free savings account and earns an average of 12% annual return, and if she never touches the money, that R30,000 will grow to just under R5,000,000 by the time she retires at age 65. 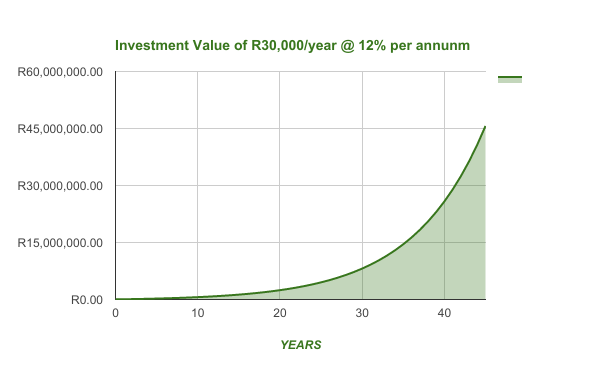 Scenario #2 – 20-yr old Jessica makes a yearly contribution of R30,000 to her tax-free savings account and earns an average of 12% annual return, and if she never touches the money, that R30,000 yearly contribution will grow to just over R45,000,000 by the time she retires at age 65, as you can see from this chart. It’s human nature to procrastinate, “I can start saving next month or next year”, but the most valuable asset of Compound Interest is TIME. So quit with the excuses & start saving today. 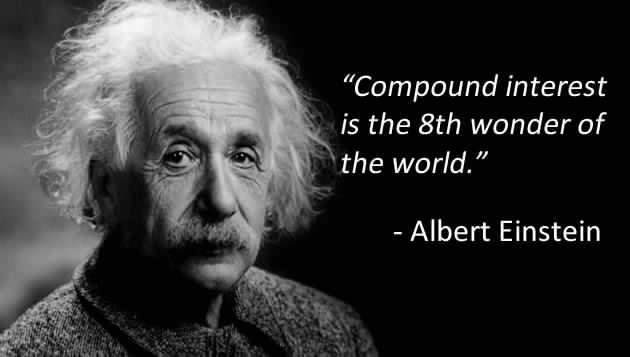 If you can live on 90% of what you earn, you’re 100% financially free. You’ll have no financial worries & you can rest assured that your future is secure with your nest egg accumulating. Sure you’ll want to improve the quality of life but you can achieve that by focusing on increasing your income, all the while only ever spending 90% of your earnings. Life happens & there will always be an out of the blue emergency around the corner. If you don’t have access to a savings fund, odds are you’ll need to take out a short term loan to cover your situation & before you know it you could be caught up in the debt trap. First of all, a big congratulations is in order, go ahead and pat your self on the back as you have mastered the art of self-discipline. Doesn’t it feel empowering to know that you’re no longer a slave to MONEY? The next logical step is too increase your income, you can do this by increasing your earning capacity as an employee or creating a secondary income. 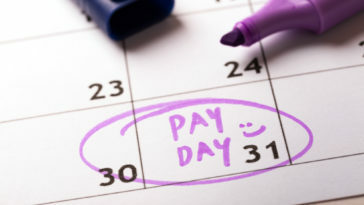 Check out our list of ways to make money fast for tips! Next article 15 Legit Ways to Make Money Online in SA!